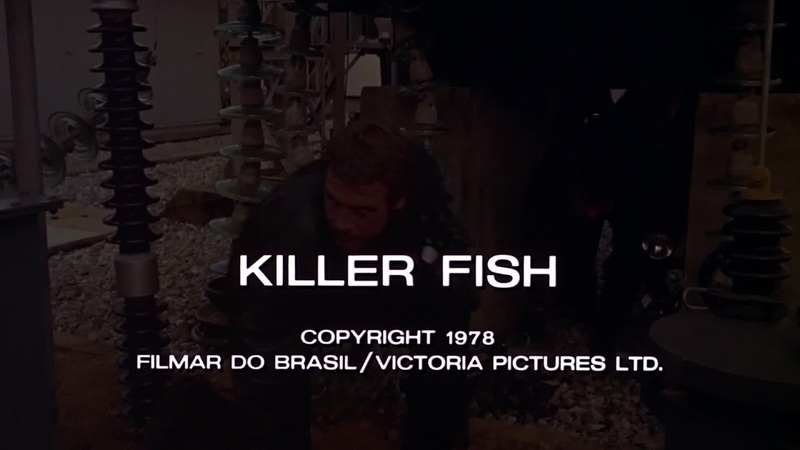 I saw this film at a drive-in as a teenager still in high school. 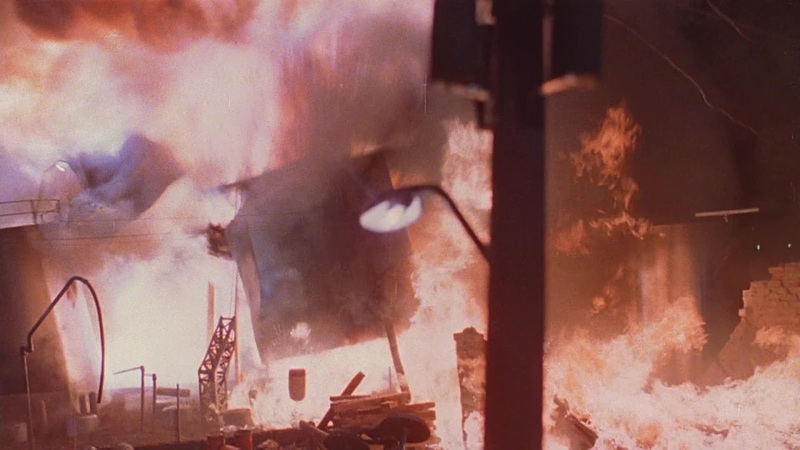 As I remember, I thought it mostly pretty dull but then it totally redeemed itself by the really extensive and well staged miniature sequences. 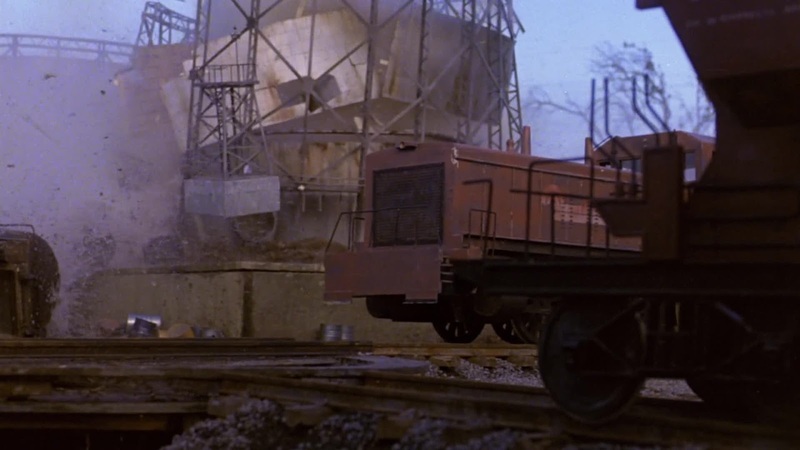 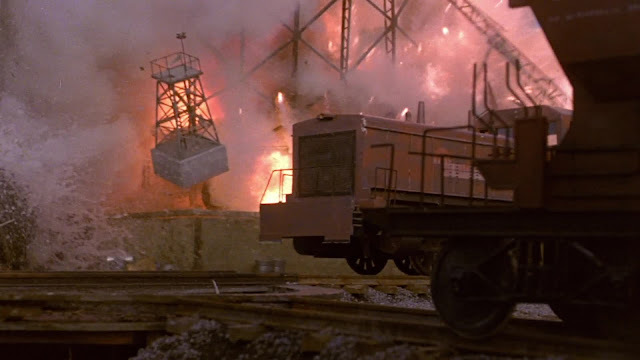 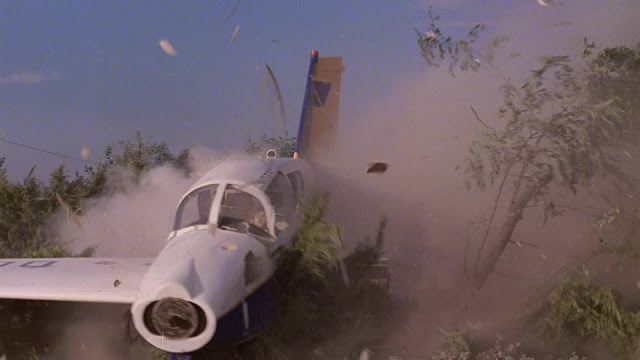 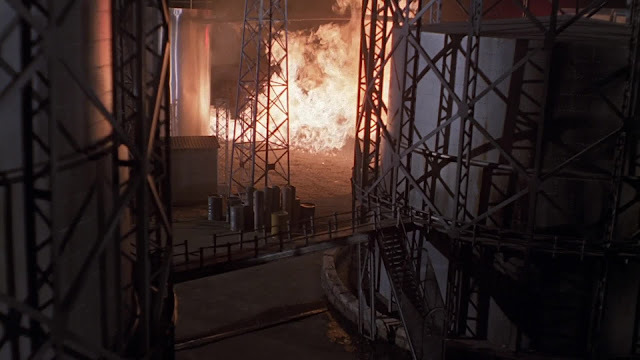 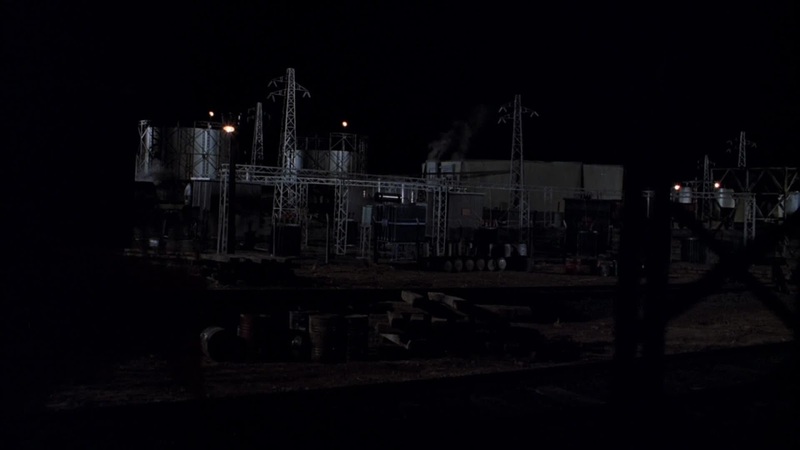 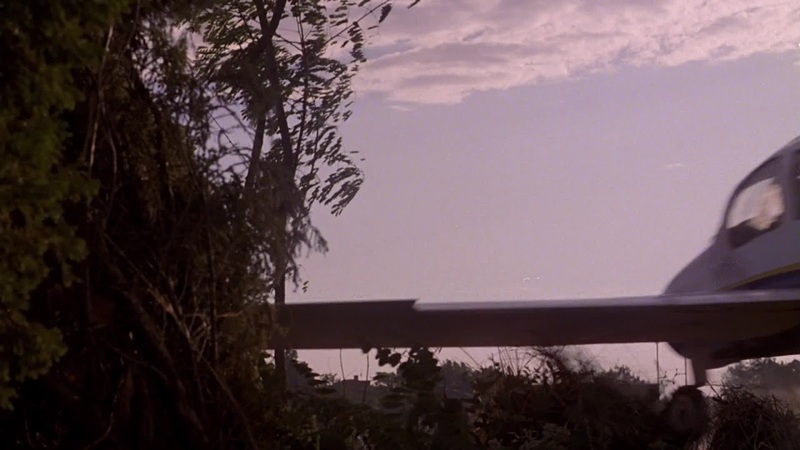 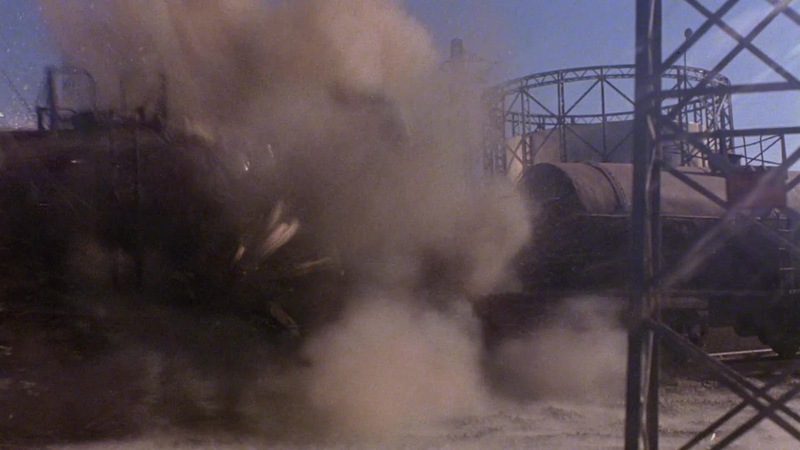 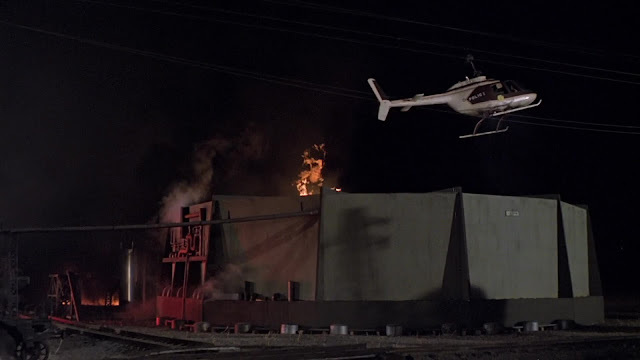 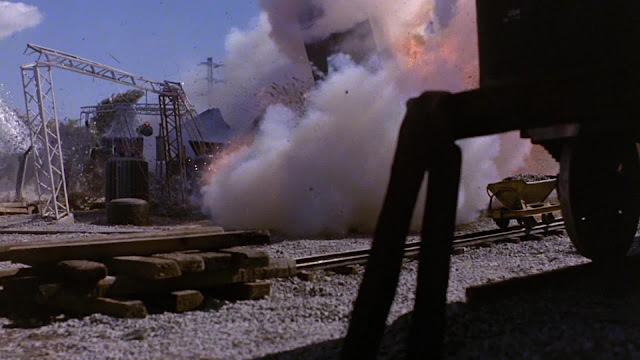 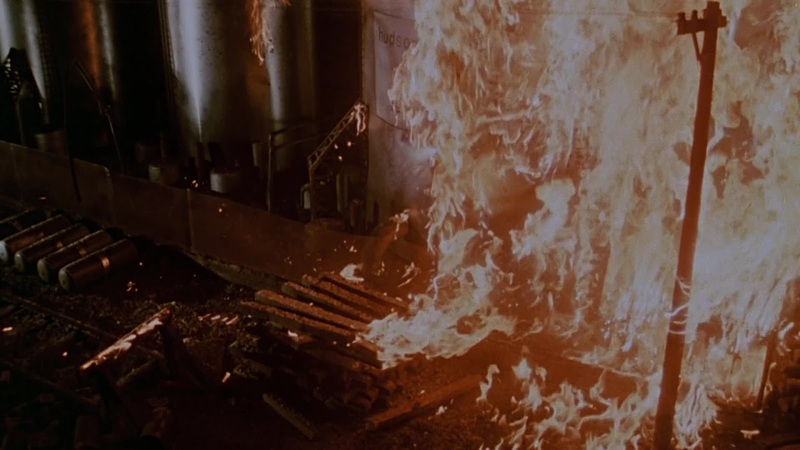 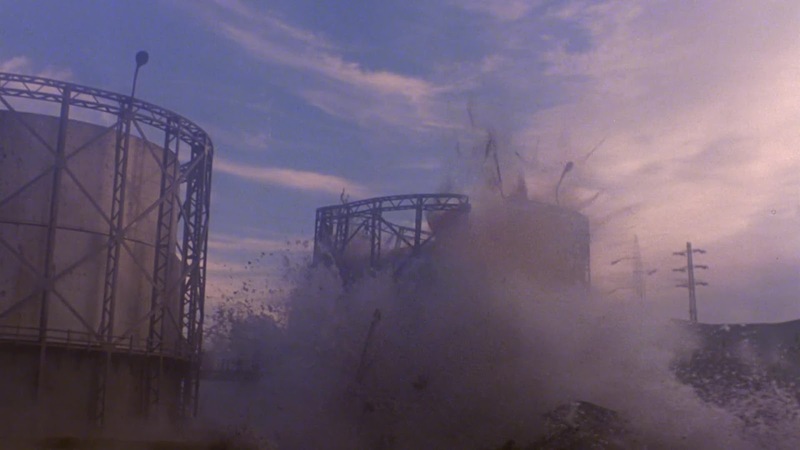 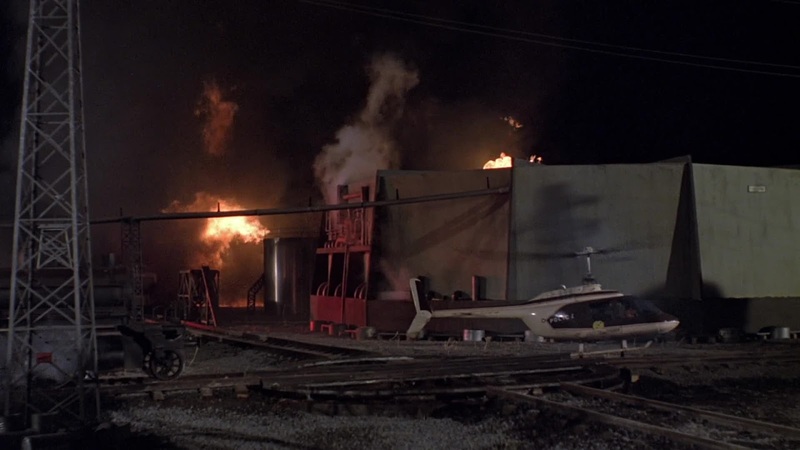 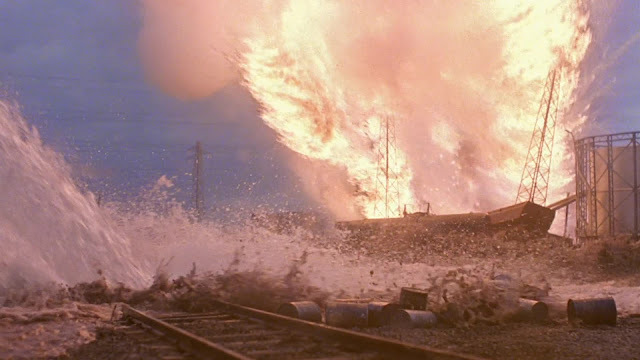 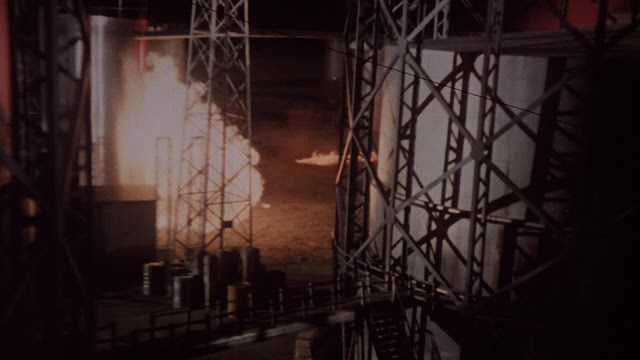 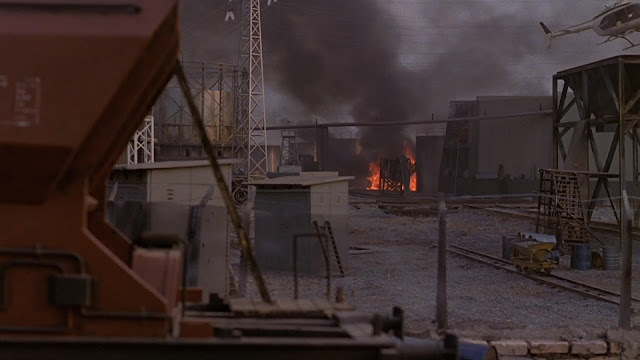 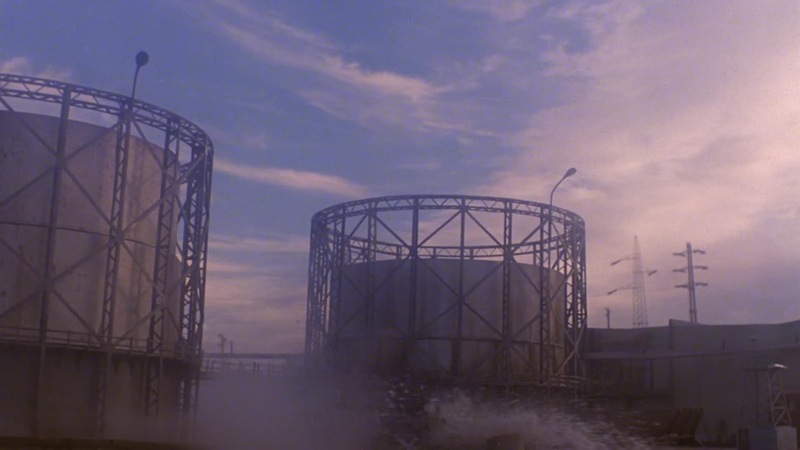 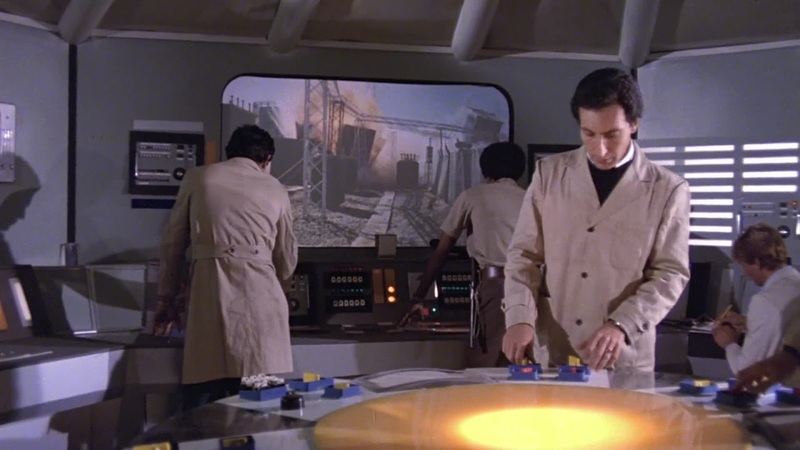 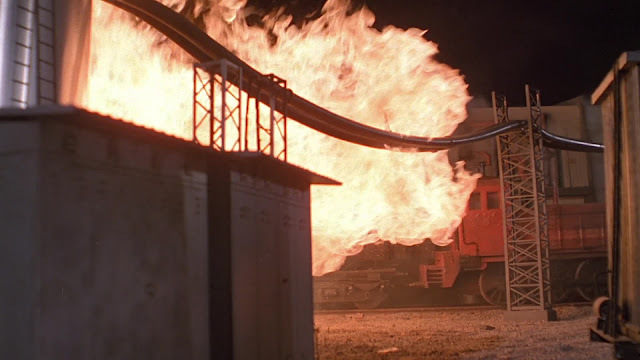 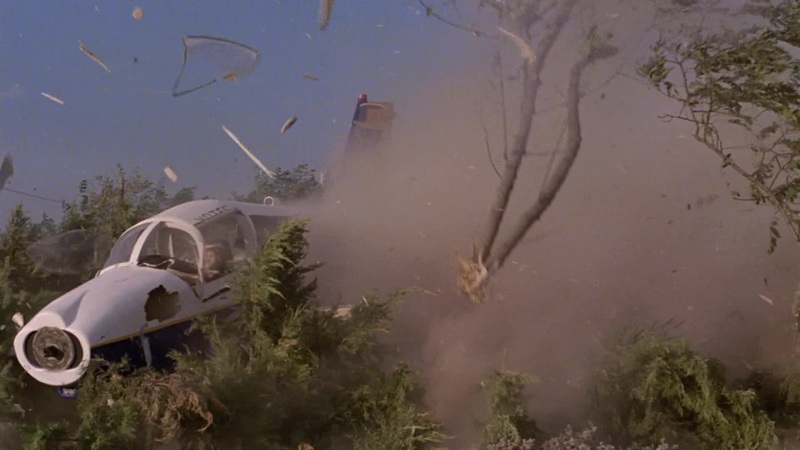 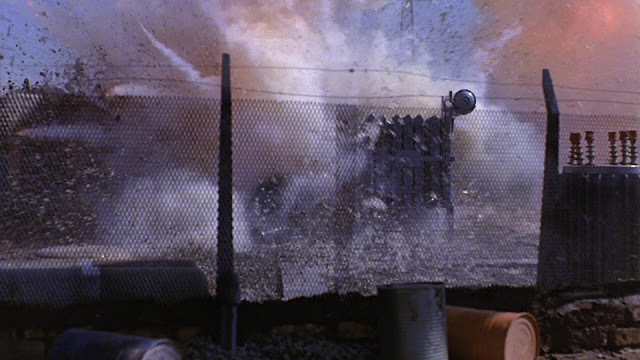 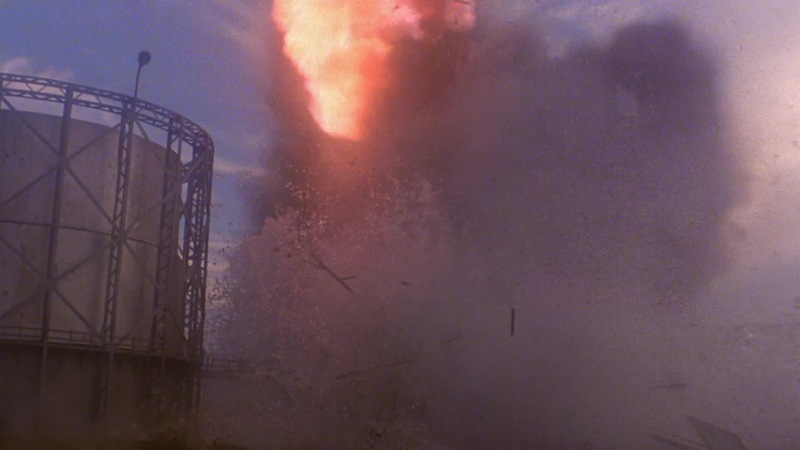 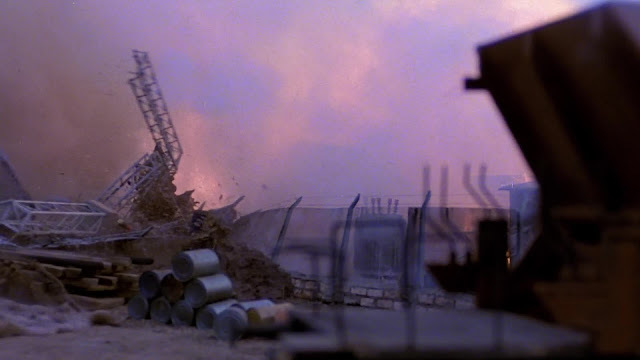 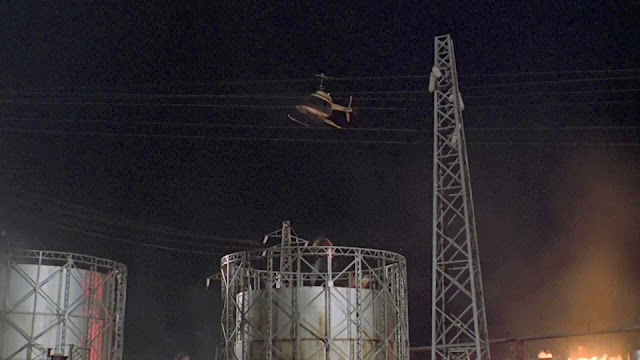 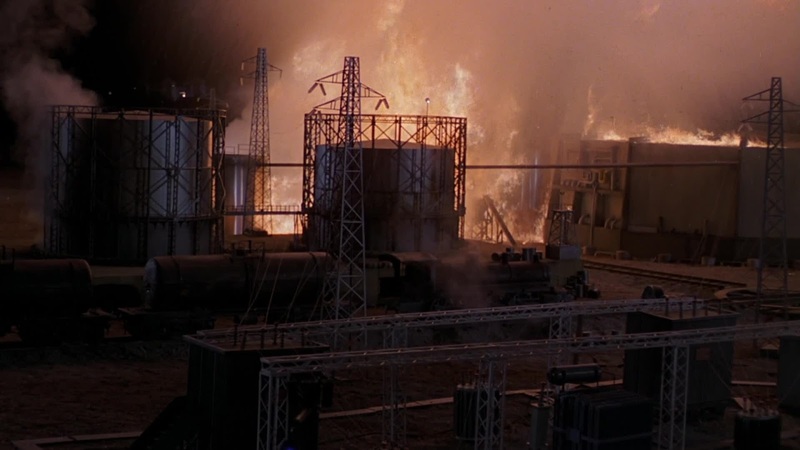 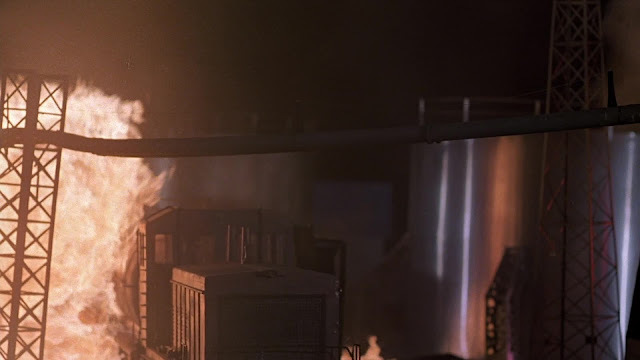 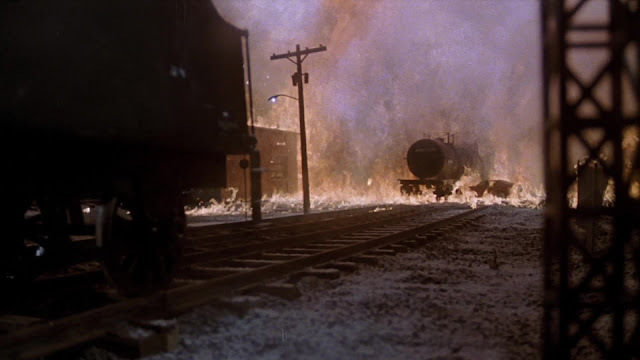 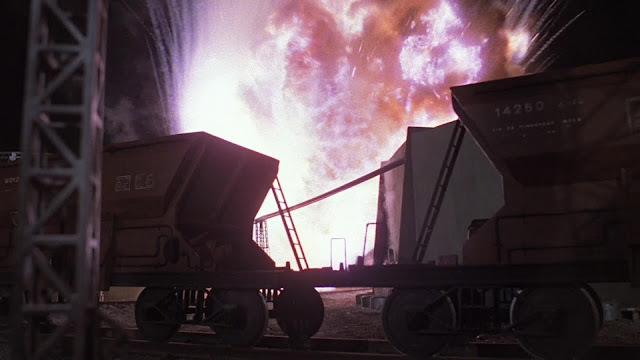 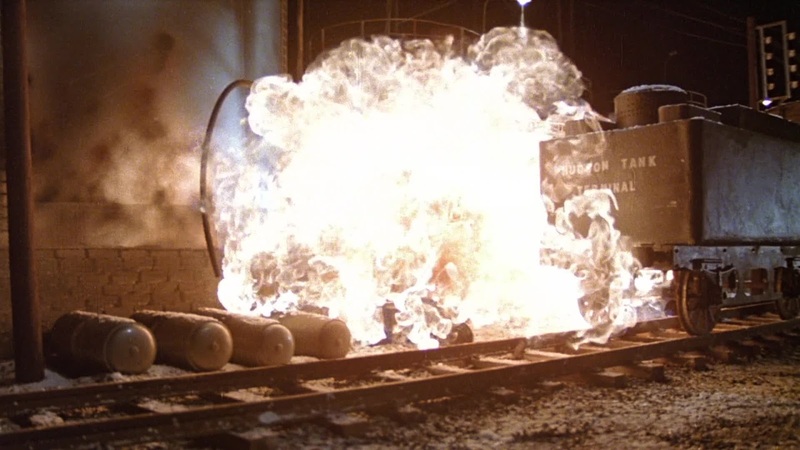 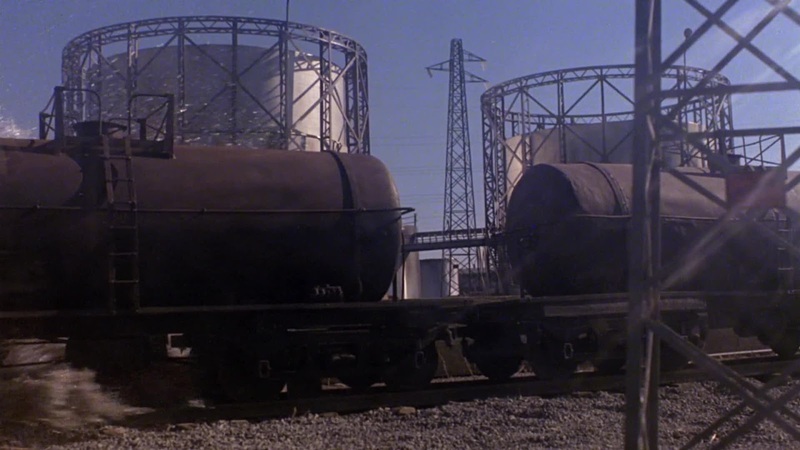 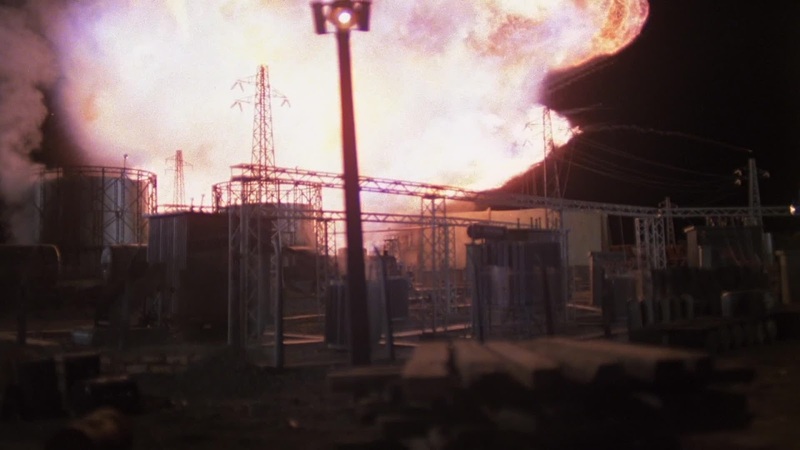 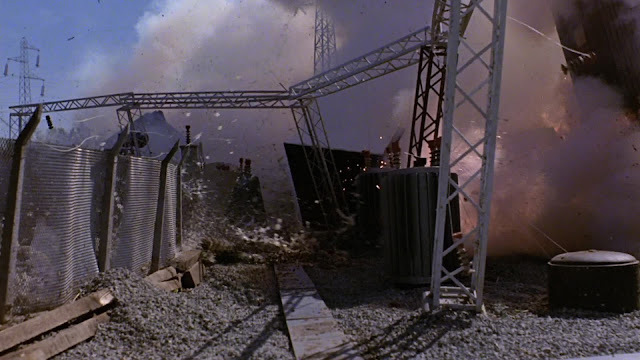 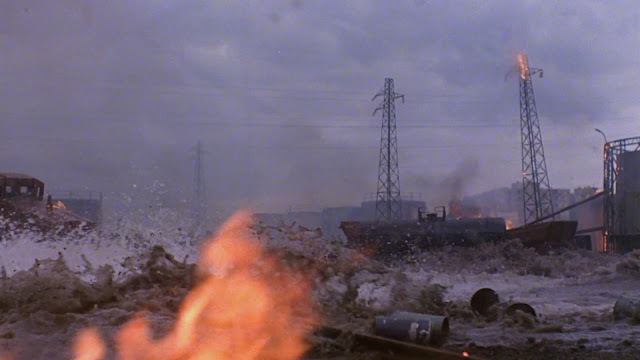 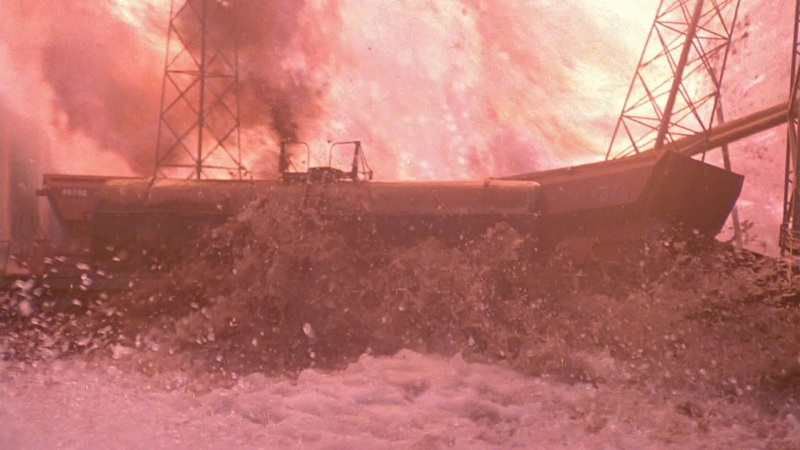 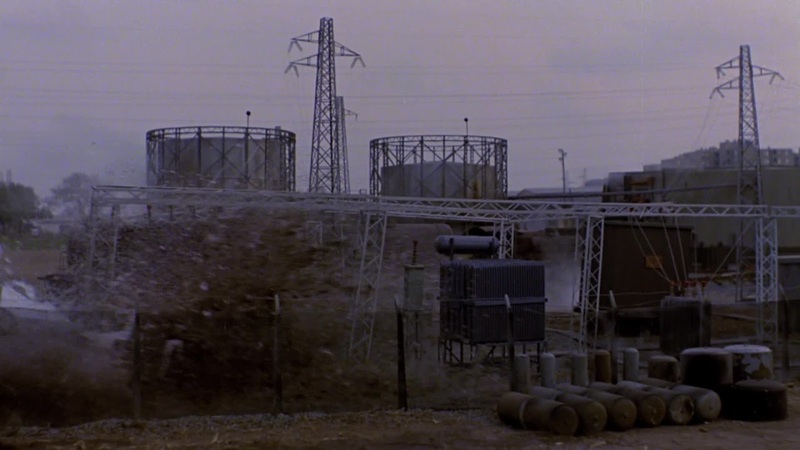 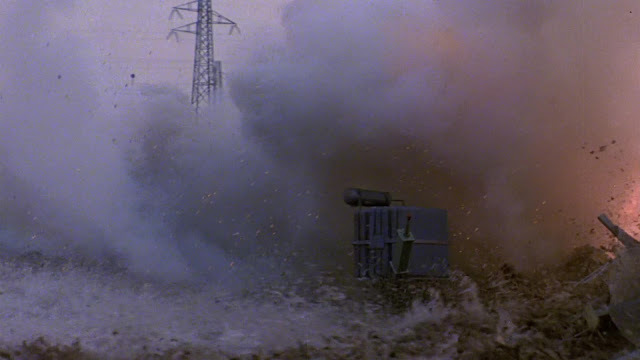 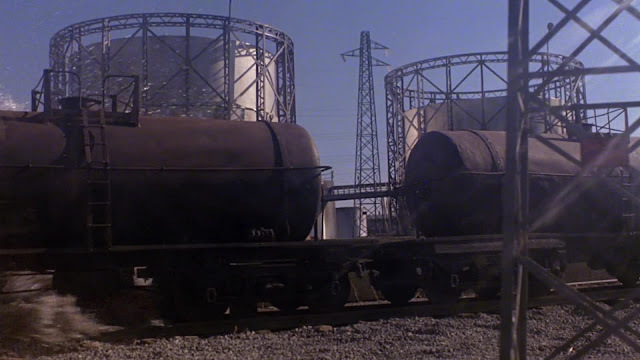 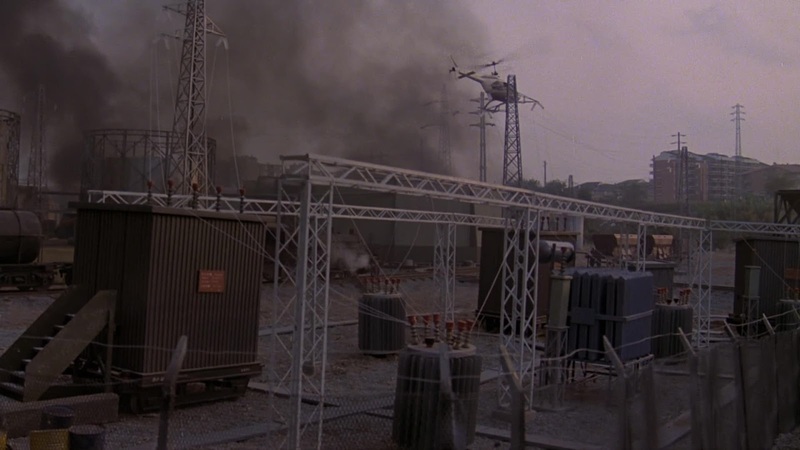 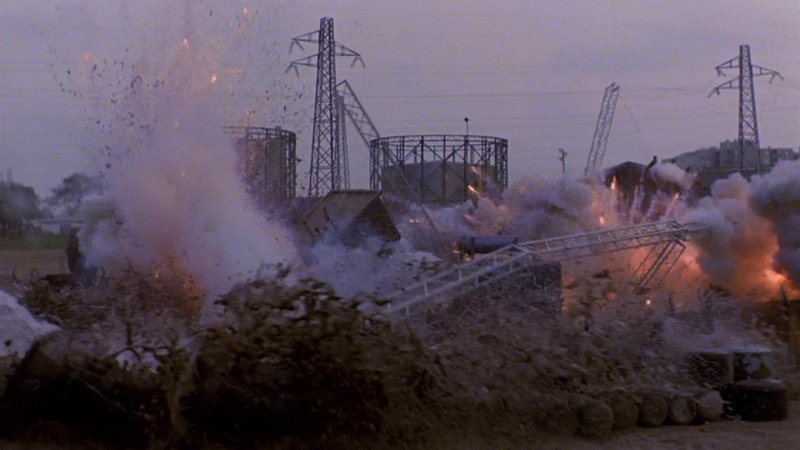 The film opens with the explosive night time destruction of a miniature refinery/ power station complete with a hovering miniature helicopter. 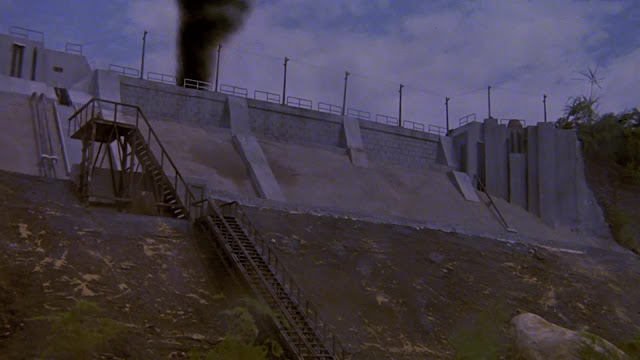 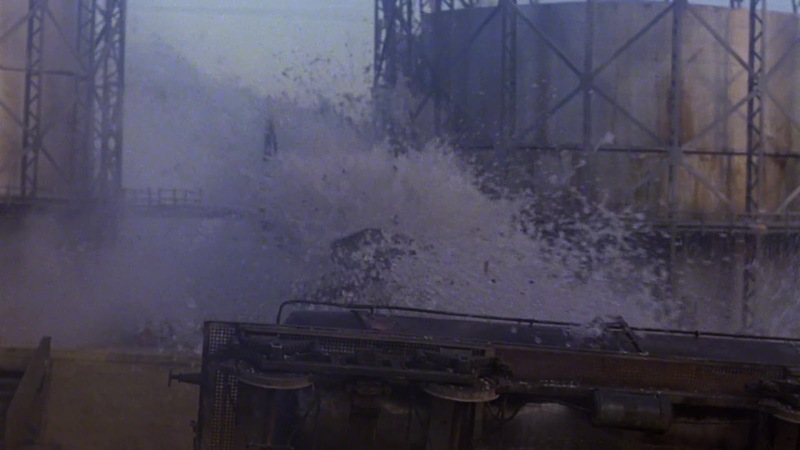 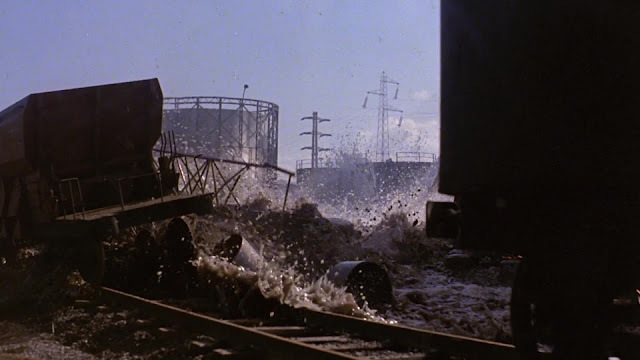 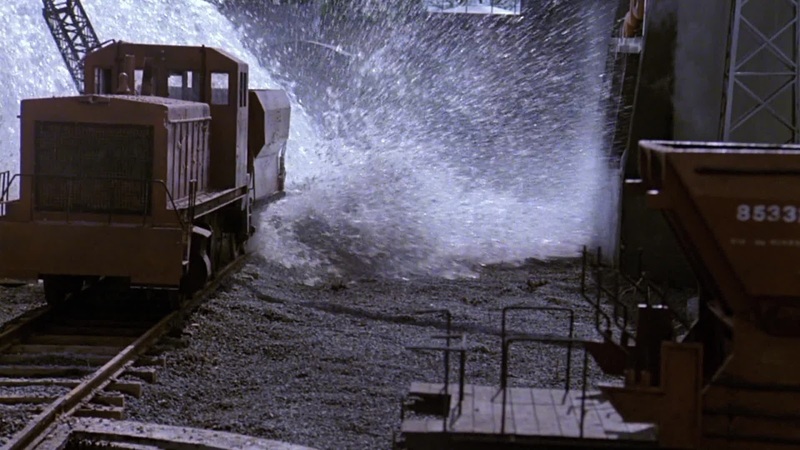 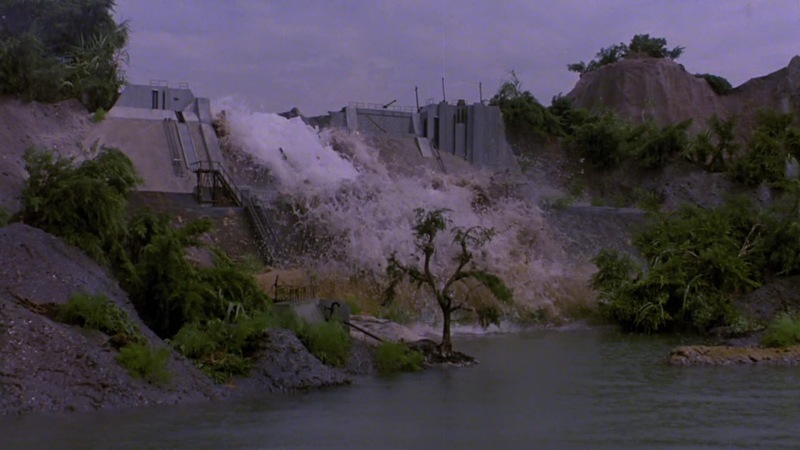 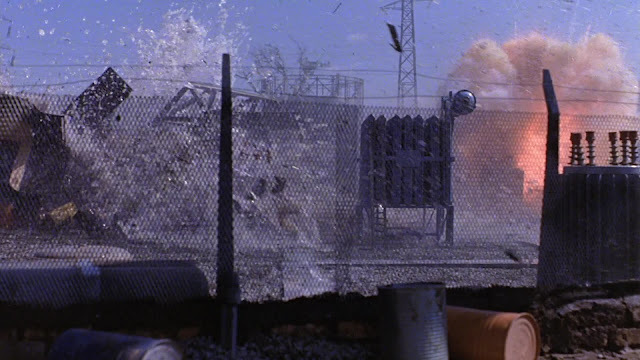 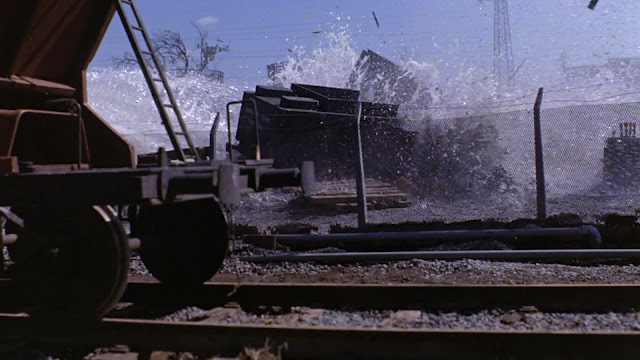 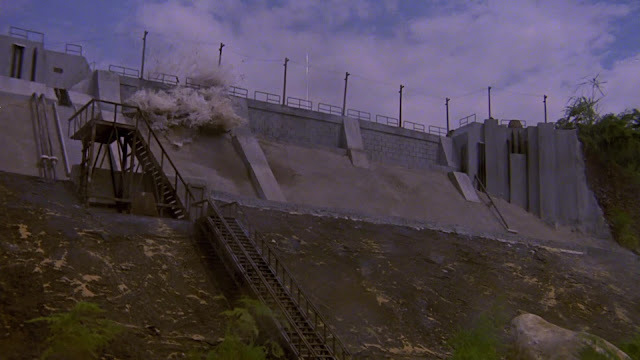 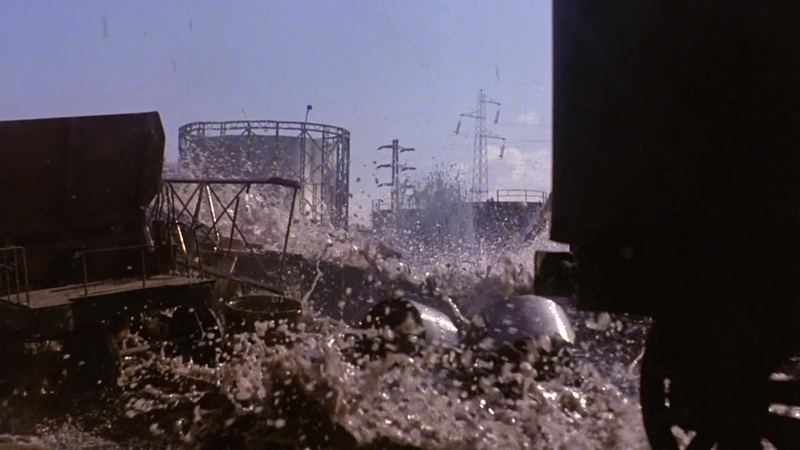 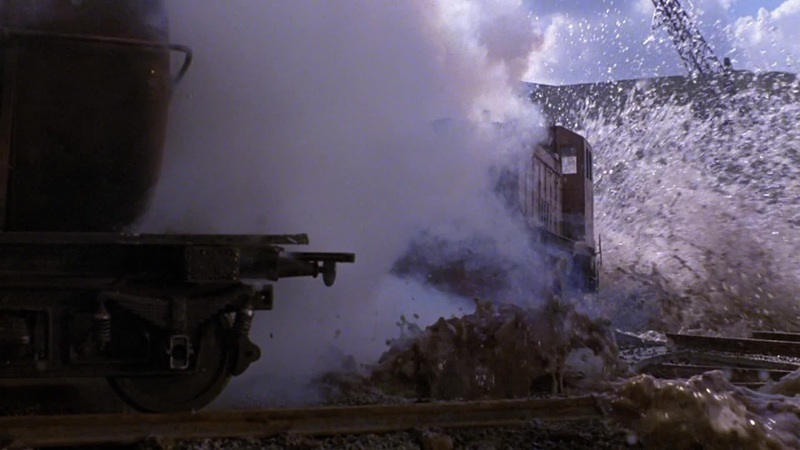 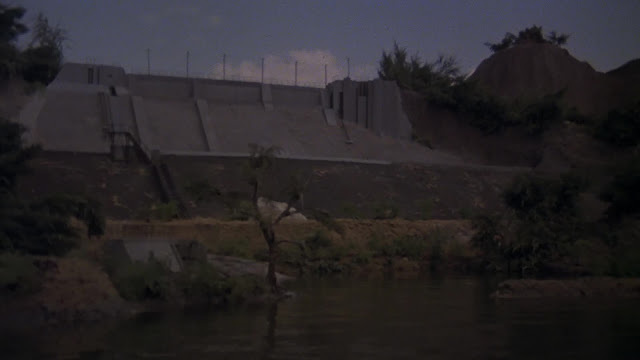 That same miniature power station is then further destroyed later in the movie by a torrent of water released by a freak miniature dam burst. 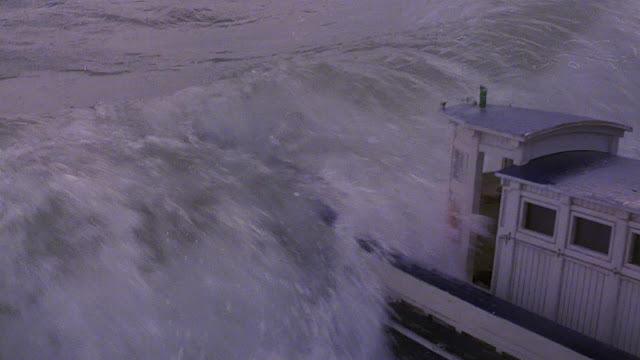 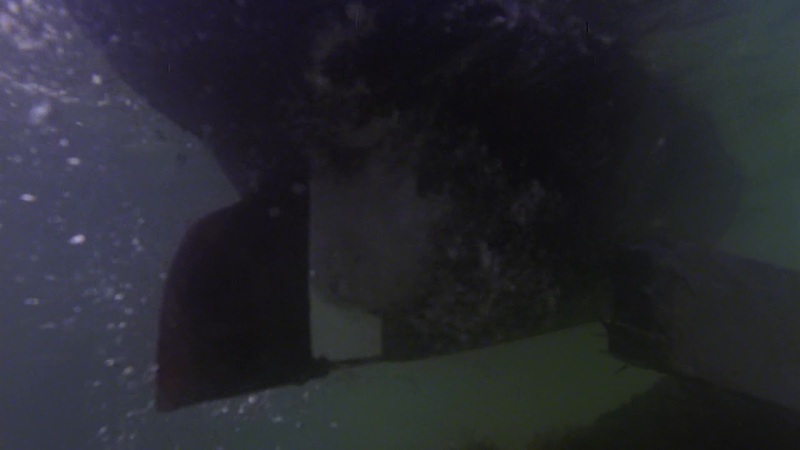 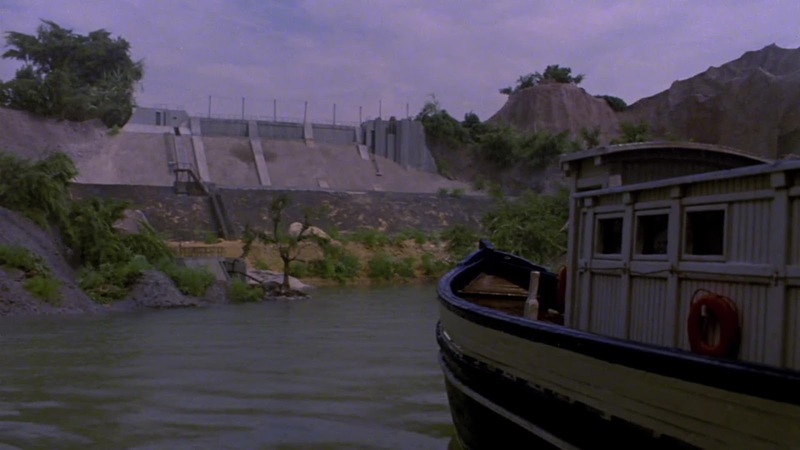 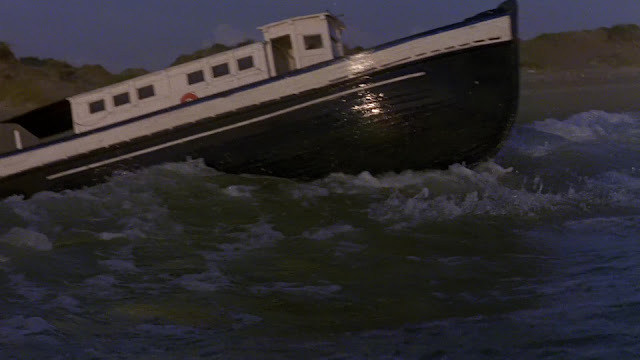 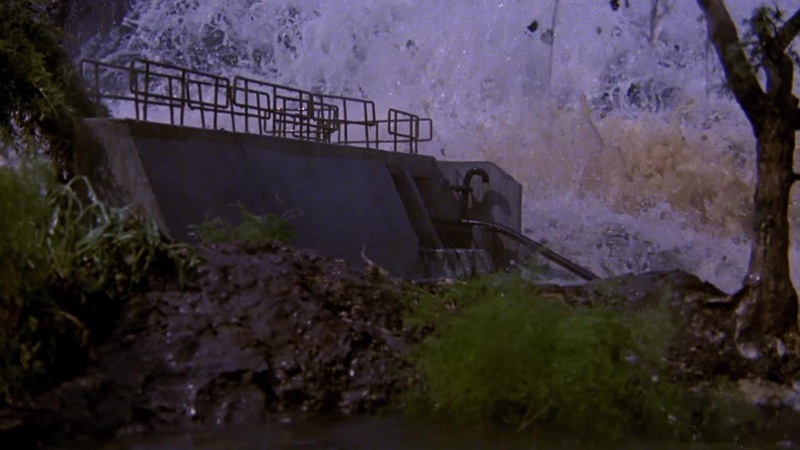 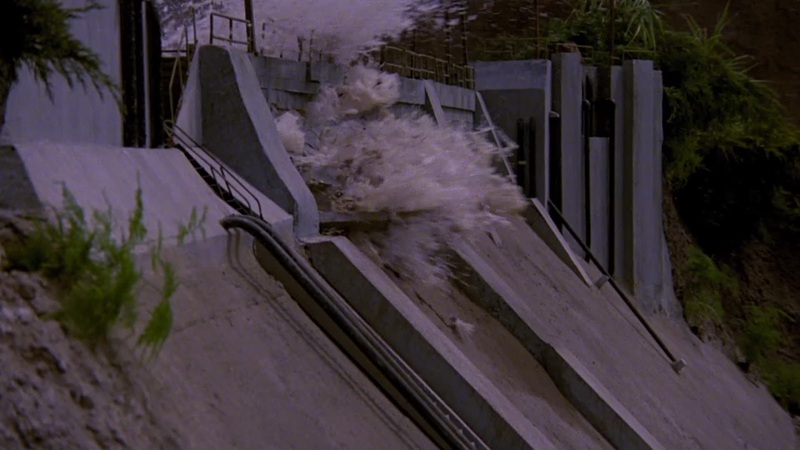 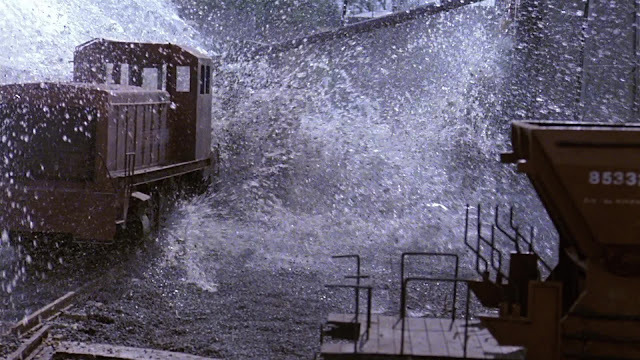 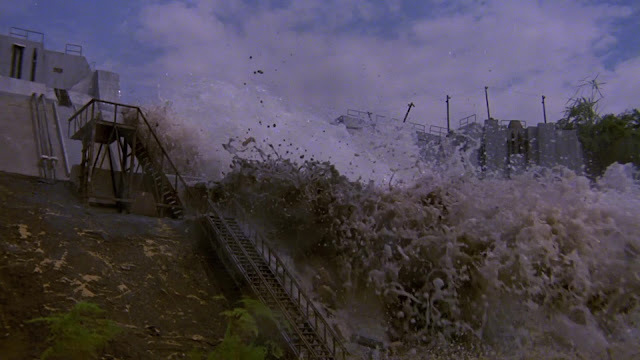 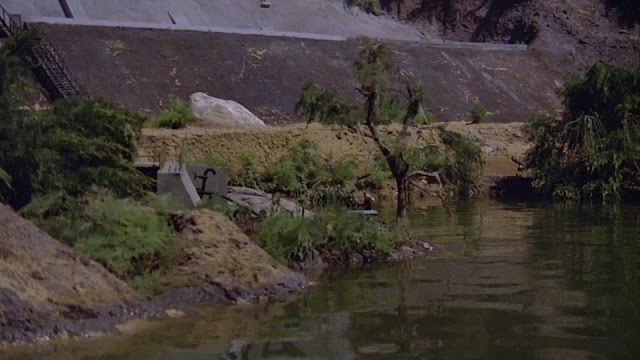 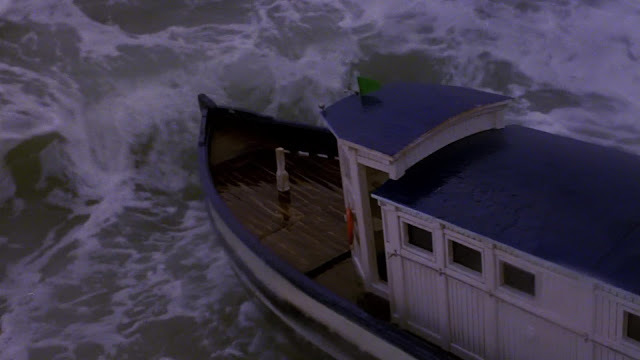 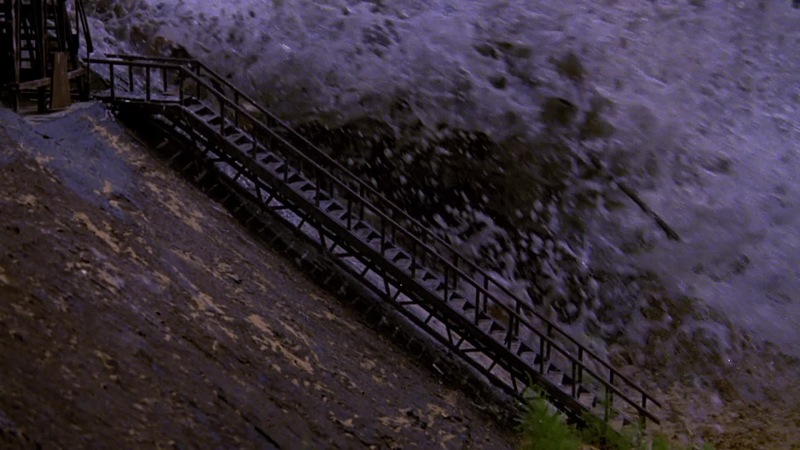 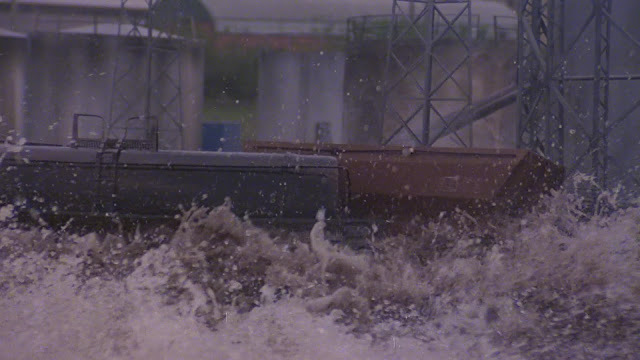 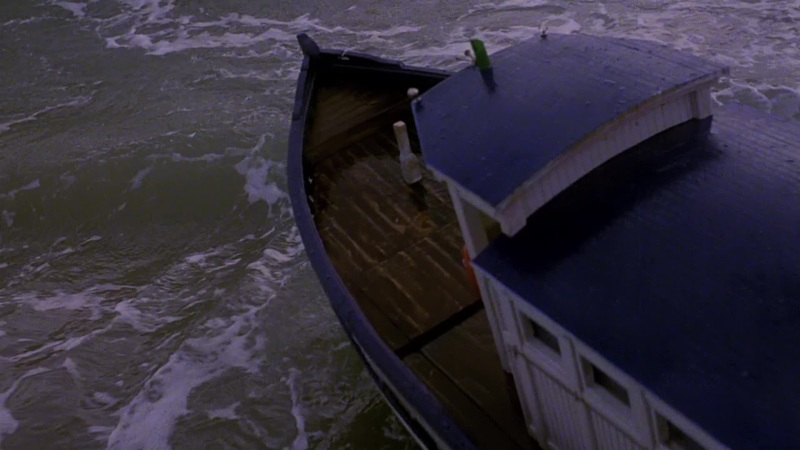 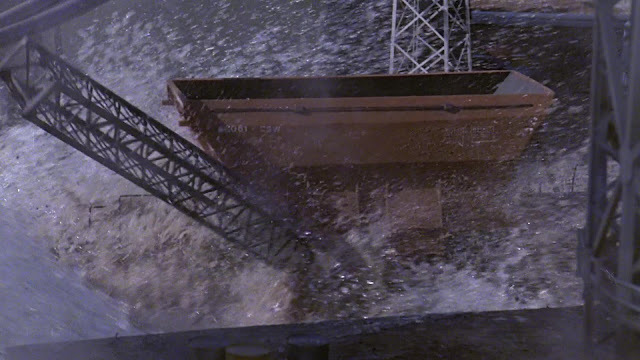 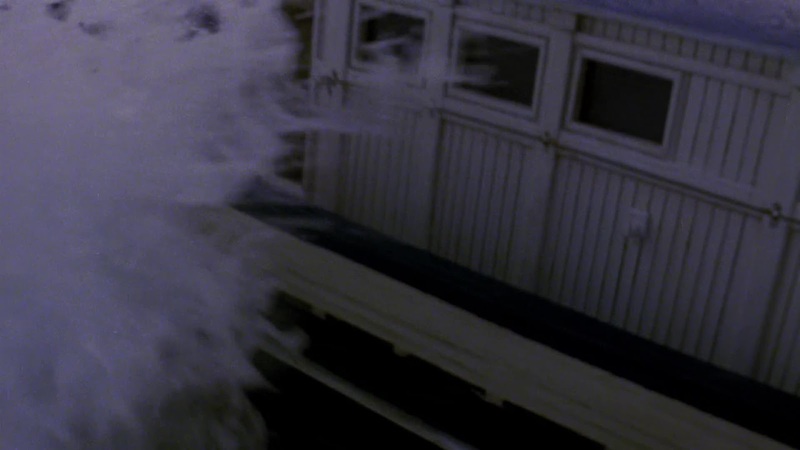 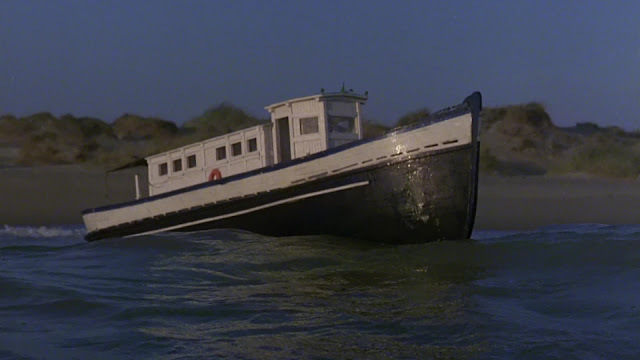 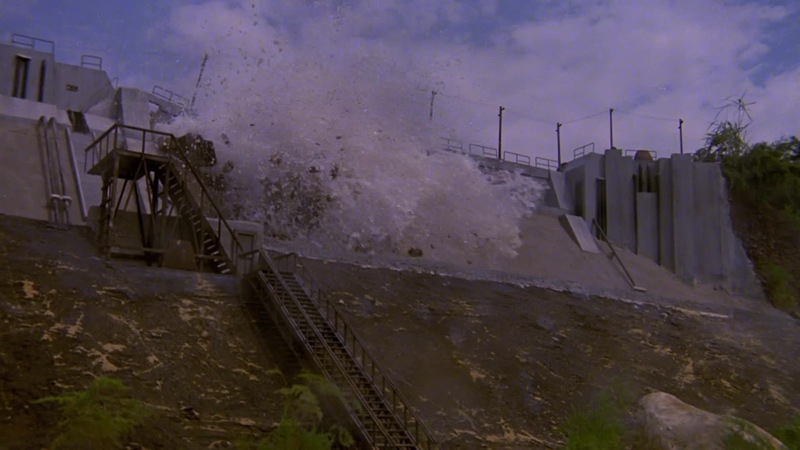 Other miniature shots include a light plane crash as well as a sequence with a miniature wooden boat which has to weather the water of the dam burst which qualifies its inclusion here. 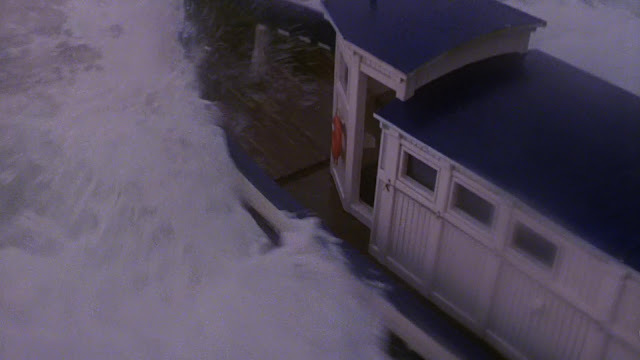 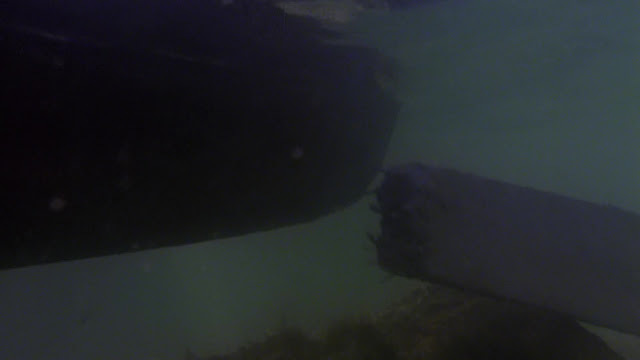 A few shots of the model boat look to be taken at a beach for the wave pounding action required. 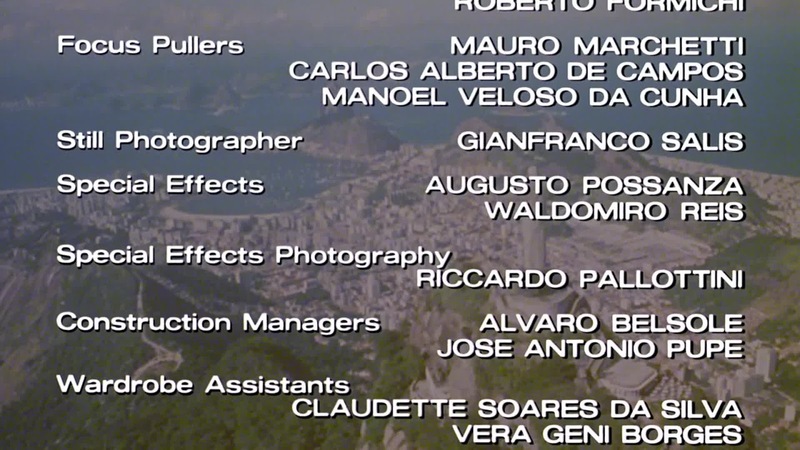 The Italian production's director was Antonio Margheriti ( as Anthony M. Dawson ) who often used miniatures in his films, as well as being involved in the miniatures for the original Inglorious Bastards in the same year. 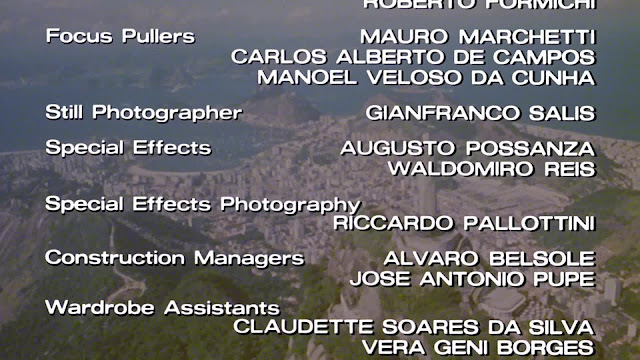 One of the miniature shots in the movie comes complete with its own built in special features...see postscript at the end of the post. As a bit of a postscript, in one of the nighttime miniature shots there is a special effects crewman standing up in the middle of the frame behind one of the miniature tanks looking up at the miniature helicopter. At least it allows you to see the size of the miniatures. Click on the picture to bring up the full size version. 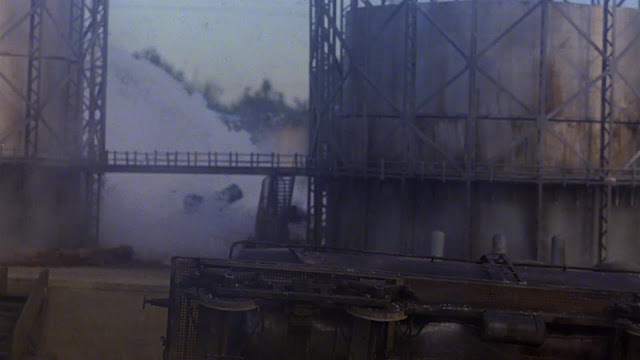 Man in shot, middle of frame behind the tank looking up at the model helicopter. 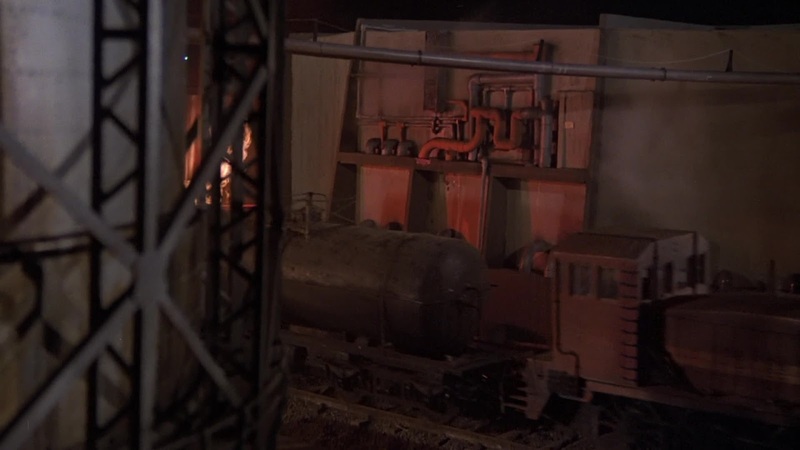 he may actually be controlling it as he seems to be holding a control unit.